Emotional Freedom Techniques is a simple yet powerful inner technology that Sejual uses in her EQ coaching work. It discharges negative emotional responses allowing the person to feel calmer, and better engage in critical thinking. It also has a track record of easing physical pain quickly. In addition to within 1 to 1 coaching sessions, it can also be learnt for self use by attending training for it. 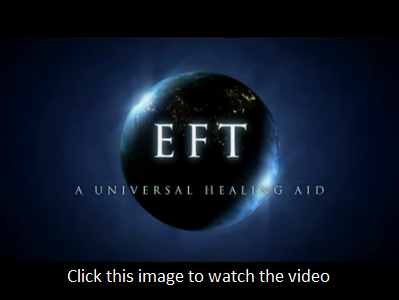 EFT is growing in public awareness. AAMET practitioner, Professor Tony Stewart, was interviewed in January 2014 for BBC local news in the Midlands for the success he has had with introducing a pilot EFT scheme for anxiety issues with Sandwell Council in the UK. In addition The Daily Mail ran a very positive story about EFT and the same Sandwell Council study a few days later. This article from The Telegraph newspaper from February 2007 shares about the benefits of EFT. There is a growing body of peer reviewed and published scientific research available. This link, on the professional EFT body AAMET's site, collates available research. Wow, even a short session of EFT with Sejual has proved to be helpful and mindclearing. I was so surprised especially about myself being able to visualise the person with whom I've had a problem with for 9 years in a peacefully smiling way after the tapping. The process involves gently tapping on meridian points and engaging in creative word play that Sejual leads you through. At no stage do you have to ‘courageously confront’ the issue. The approach is gentle and aimed at safely neutralising the distressing memory or issue without needing to re-experience it, and that in itself spurs on quicker results. For physical conditions we gently bring down the intensity of any pain or seek to safely release restrictions in the body’s movement. The result is usually an amazing physical and emotional release that leaves you free to enjoy life more fully than before. What are the benefits of working with a practitioner? Can you remember not being able to see the wood from the trees on a problem? And then when you spoke with someone they shed light on the situation and helped you make your way through the jungle to safety. A good EFT practitioner will work with you on the really tricky issues that require a critical objective input. They will be a resourceful detective tracking down the core issue to the problem. They will feel comfortable working with their intuitition to join the dots to present a complete picture towards clear understanding and resolution. Equally, their intuition isn't there to override your beliefs or perspective. Good quality intuition is employed to ask better questions. A good practitioner will be well-versed in advanced techniques when tapping doesn't work at first blush. They will test the work done to ensure you are lastingly free from your problem. Finally they will also teach you how to do a simple form of the technique at home to supplement the work you're doing. This makes the process as empowering and speedy as possible for you. A skilled EFT practitioner is someone who can point to a better reality or paint a brighter vision of the present. They shine a light in a dark place and highlight a path where you wish to go. The combination of support, guidance and unconditional positive regard Sejual provides can empower you to make gentle and efficient progress towards your personal goals. How are you qualified in EFT? I am professionally qualified as a Master Trainer of Trainers and Level 3 Advanced Practitioner of EFT registered with the Association for the Advancement of Meridian Energy Techniques International (AAMET). This professional body sets the standards for formal training in EFT in the UK and other parts of the world. I've worked with more than 3000 individuals on a variety of issues. As part of my own self-development I use EFT on a daily basis to resolve issues that come up in my own life both by myself and working with other skilled practitioners. I continue to devlop my knowledge with ongoing professional training.